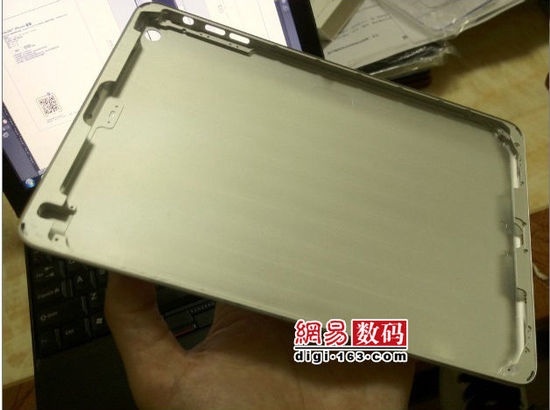 New photos have appeared which allegedly show the rear casing of Apple’s much-rumored 7-inch iPad Mini. The images were first posted on a Chinese website and were reportedly obtained from an Apple manufacturer in Shenzen province. 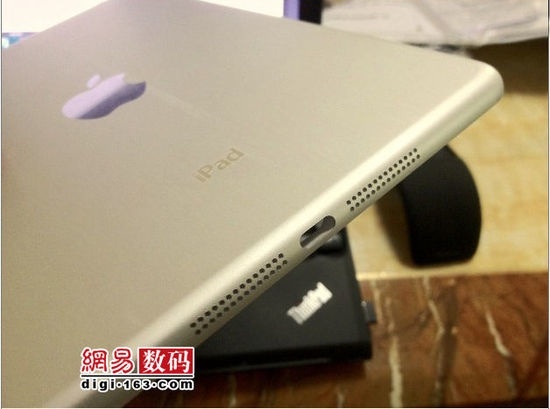 The iPad Mini photos demonstrate the expected aluminum unibody design with the new “mini dock” clearly visible on the bottom of the device. Notably, the external design of the iPad Mini does not show the same tapering as the current-model iPad, featuring a much more rounded edge. A hole for a rear-facing camera is also visible on the back-plate of the casing, but this particular model does not have a space for the SIM-card, indicating that this particular iPad Mini may be a Wi-Fi only version. Whle Apple’s September 12 media event is now confirmed, there is still uncertainty as to whether or not we’ll be seeing the iPad Mini launched on the same day as the iPhone 5, or at a later event in October as some have suggested. With yesterday’s announcement of the new Kindle Fire HD, the iPad Mini will be in direct competition with Amazon’s 7-inch $199 tablet. What are your thoughts on the iPad Mini design? Let us know in the comments below.